This is the forgotten list of kids that you will remember in another two years when most of these kids, or you hope all of them, finish those two years of getting either grades up or polishing up their skills to be recruited all over again at the junior college level. 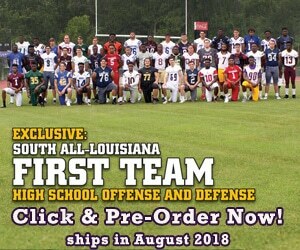 In two years, this junior college group of Louisiana players has a chance to be deep in talent for DI scholarship opportunities in 2020. There are some special players in this group that I will talk about and all of the kids mentioned have been seen by myself either in person several times scouting or in watching full game film over the last three or four years. 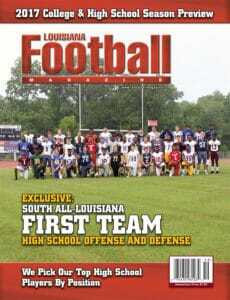 Several of these kids have a chance to be highly recruited by all the big programs when they finish. This is not a fully complete list because some kids will sign with junior colleges all the way up to March and April. You also might see some quarterbacks go this route for just one year that are already qualified just to sharpen up not their grades, but there is a chance that they will be recruited all over again by the big time programs or move up with bigger schools than their current option. 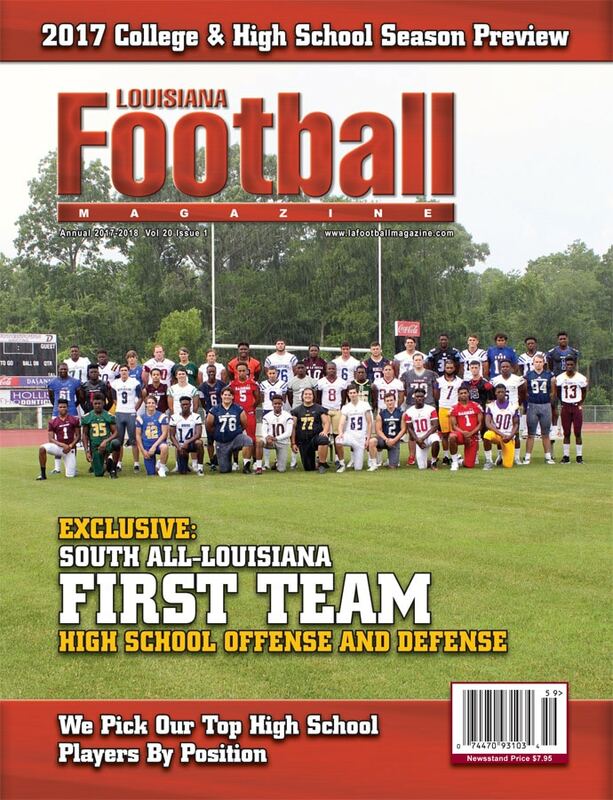 Today, Lee Brecheen gives out his top Louisiana junior college signees on the offensive side of the football. 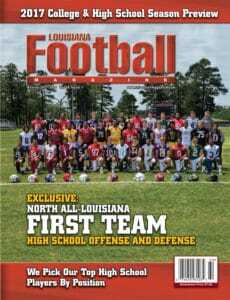 Come back tomorrow when we will put up the best Louisiana junior college signees on the defensive side of the football. 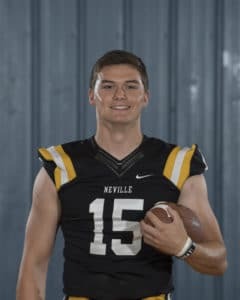 Neville High School late bloomer Payton Batteford (6-2, 210) will start at Fort Scott Community College in Kansas and might only go one year just to polish up on his skills because this kid did not have a lot of time at the position to be a polished quarterback. Batteford really only played a lot in 2017. 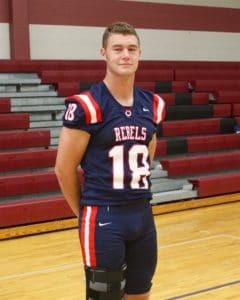 He is a good looking player with good size, a cannon arm, and decent feet. I think another year will do this kid well and in the end, he might become a polished quarterback with a full resume after the 2018 season to sign with many programs. I liked what this kid could be with more work put in. 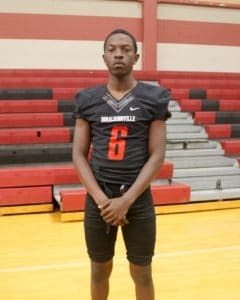 Donaldsonville High School QB Jaylin Williams (6-2, 190), who runs a 4.55/40 and has a cannon arm, will take his talents to Blinn Community College in Texas. 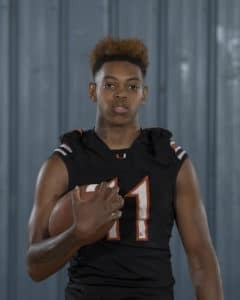 If he sticks it out for the next two years, he could keep getting better and could end up a great dual threat quarterback at the DI level in 2020. In his senior season, Williams threw for 1,932 yards and 18 touchdowns while running for 438 more yards and four touchdowns. 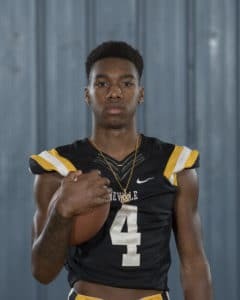 Jena High School QB Lamar Farris (6-2, 200) has ability with 4.6/40 speed, but going to Trinity Valley College in Texas will allow him to become the complete package to work more on his passing skill set rather than his athletic skill set. Farris has a ton of ability, but after watching him on film, he just needs to work on his feet a little more as well as his underneath throws in order to become a complete quarterback. He has the ability to become that and the opportunity to do so at Trinity Valley. Teurlings Catholic High School QB Wesley Blazek (6-2, 215) is trying to decide between big time junior college offers, DI preferred walk-on offers, and I-AA opportunities since National Signing Day. Blazek is the most intriguing quarterback in the 2018 class because he has the arm, size, leadership, touch on the football ,competitiveness, and good feet in the pocket to become a really good DI quarterback. The kid checks all the boxes as a quarterback and he is also qualified to go anywhere DI right now. Blazek only started one year of football in 2017 as he backed up a DI Baseball Prospect in Hayden Cantrelle (ULL) who started in 2016 as the Rebels’ starting quarterback. 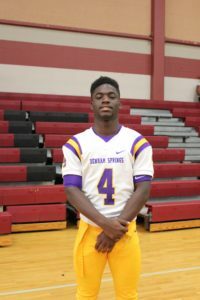 Denham Springs High School RB Tyre Golmond (5-7, 170), who runs a 4.45/40, will go to Garden City Community College in Kansas. 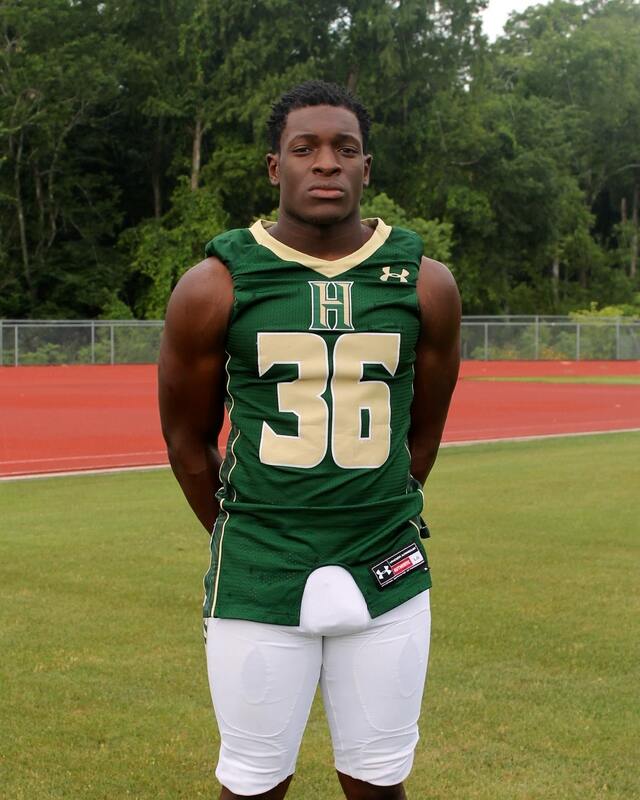 Golmond will have a chance to get stronger, bigger, and show the DI coaches that he can run in a league with a ton of DI linebackers and defensive linemen. 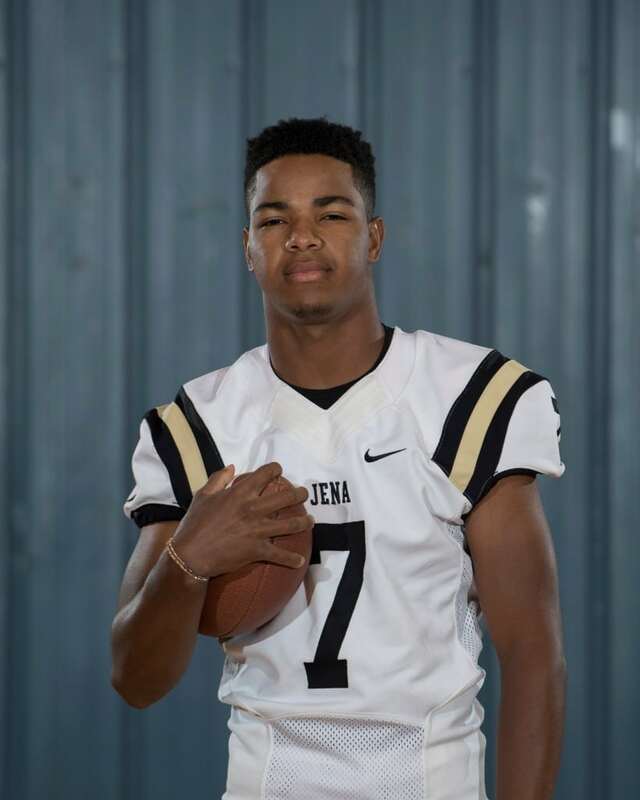 The all time leading rusher for the Yellow Jackets ran for 1,315 yards and 13 touchdowns while catching 35 passes for 367 yards and four more touchdowns in 2017. At one time, Riverside Academy High School RB Jeremy Gibson was committed to the University of Arkansas in the SEC. This kid will have a chance to sign back at the DI level after two years at Southwest Community College in Mississippi. At 5-10, 210, Gibson has 4.5/40 speed and power. 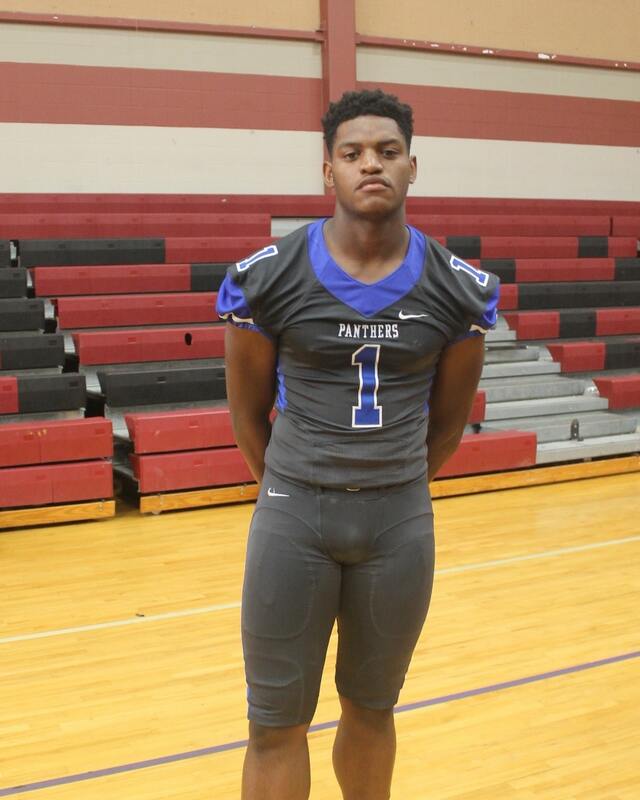 He could take his game to another level in the junior college ranks. 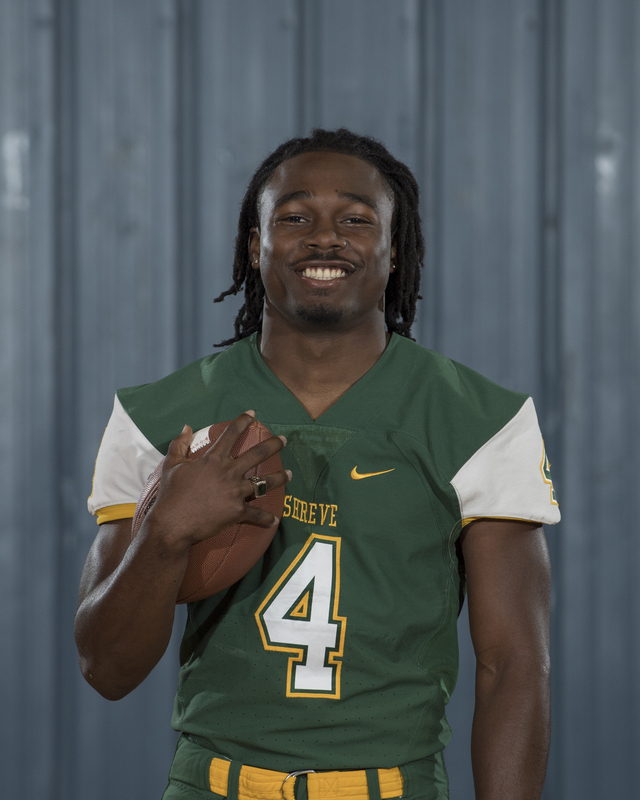 Neville High School RB DeMaine Riley (5-9, 165), who runs a 4.5/40, is a late bloomer that signed with Fort Scott Community College in Kansas and has a chance to polish his skill set once he gets a little bigger and plays more football. 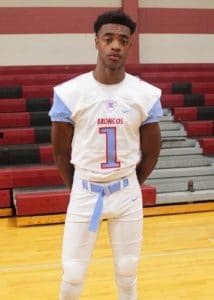 Highland Baptist Christian High School RB Bronte Griffin (5-10 210) runs a 4.5/40 and has been a statistic machine accounting for almost 7,000 yards and 100 touchdowns heading towards his senior year. Sulphur High School RB Glenn Willis (5-7, 175) has 4.4/40 speed and great hips. 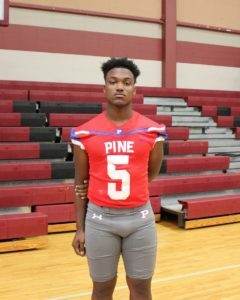 He finished the 2017 season with over 1,400 yards rushing and 18 touchdowns. Captain Shreve High School RB James Ivory III (5-11, 200) runs a 4.5/40 and looks even faster on the field. Not only is he fast, but he runs with power as well. Ivory was the Gators’ bell cow with 1,707 rushing yards and 17 touchdowns. 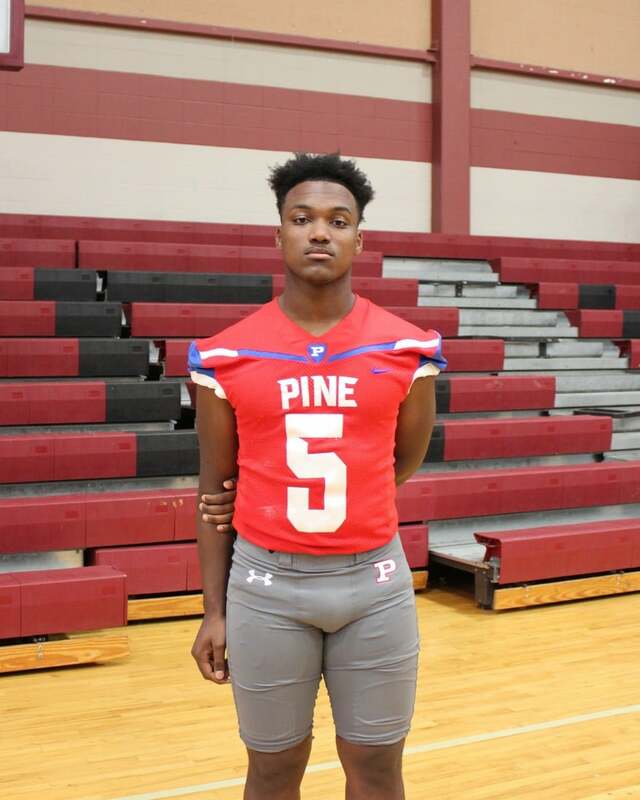 Pine High School RB Jakyran Handy (5-11, 210) is a great athlete that has been an All-District player over his career. 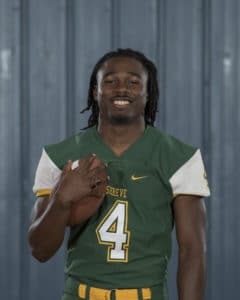 St. Helena Central High School RB Aaron Hurst (5-10, 195) was hurt for the team’s state title game as he suffered a very serious neck injury the week before against Ferriday, but has power, speed, moves, and hits the hole with a burst. He was a major reason for the Hawks’ success in 2017. I really liked Lafayette High School WR Koi Thomas (6-2, 195) since his junior year. Thomas has great 4.45/40 speed as well as a long frame. Thomas signed with Fullerton Community College in California. Thomas has a chance to be over 210 pounds by the time he finishes. Richwood High School WR Joseph Smith (6-3, 180) signed with Garden City Community College in Kansas. 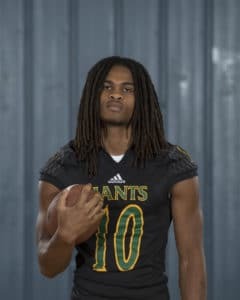 Throughout Smith’s high school career, he was really over shadowed by TE Geor’quarius Spivey (Mississippi State signee) and WR/DB Hidari Ceasar (TCU signee). 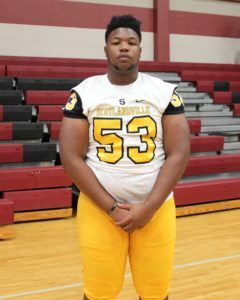 Smith will get stronger and fill out in junior college. 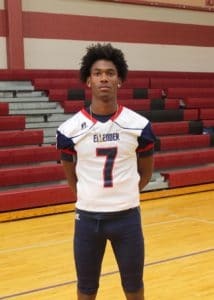 Ellender High School WR Brisson Lewis (6-0, 175) brings speed and raw ability to Chaffey Community College in California. Lewis can run a 4.5/40 or lower and was over looked by many, but I saw a kid who can run. Lewis used his speed to grab 35 passes for 647 yards and four touchdowns in 2017. Green Oaks High School WR Kenric Jackson (6-3, 190), who runs a 4.55/40 and has tons of ability, is going to Kilgore College in Texas. Jackson had 39 catches for 681 yards and four touchdowns in 2017. 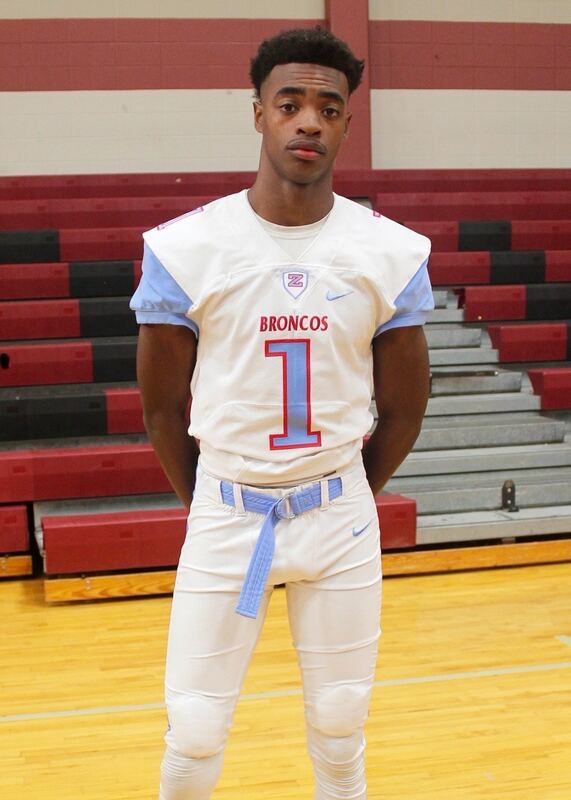 Zachary High School WR Trae Shropshire (6-3, 180), who runs a 4.5/40, just needs to get stronger and bigger. That will happen if he stays two years at Blinn Community College in Texas. When you watch Shropshire play throughout his high school career, you would see flashes of ability, but would struggle with man coverage. However, I think getting bigger and stronger in junior college will help make him a complete wide receiver for the DI level. The kid has a ton of ability and once he puts it all together, he will become very dangerous. 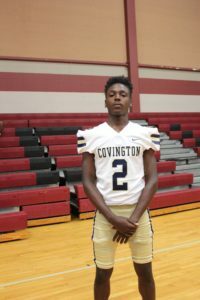 Covington High School WR KeJohn Batiste, who I have wrote about recently, could still be a big time wide receiver for the DI level. Batiste will have to start his college career at Butler Community College in Kansas. Batiste has all the tools to be a junior college All-American with his 4.4/40 speed, 6-2, 180 pound strong frame, and his high effort. Batiste was the Lions’ top option in the passing game this season as he finished with 49 receptions for 846 yards and 10 touchdowns in the regular season. 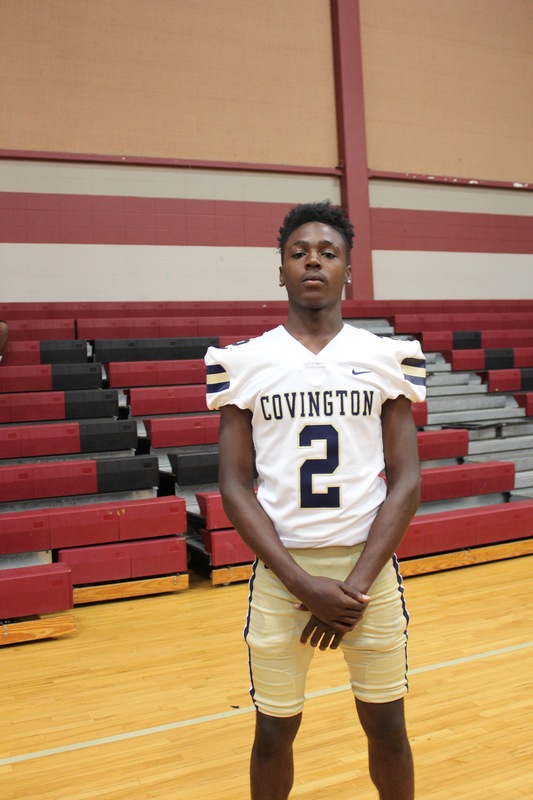 Covington High School WR Elgin Bell (6-1, 170), who has 4.5/40 speed, is a big time sleeper that will take his talents to Hutchinson Community College in Kansas. Bell has all the tools: 4.5/40 speed, good hands, and hips. Bell has raw talent and should be DI when he is done. Bell was another fine option to go to for QB Josh Alfaro (Houston Baptist commit) as he had 31 catches for 671 yards and eight touchdowns. 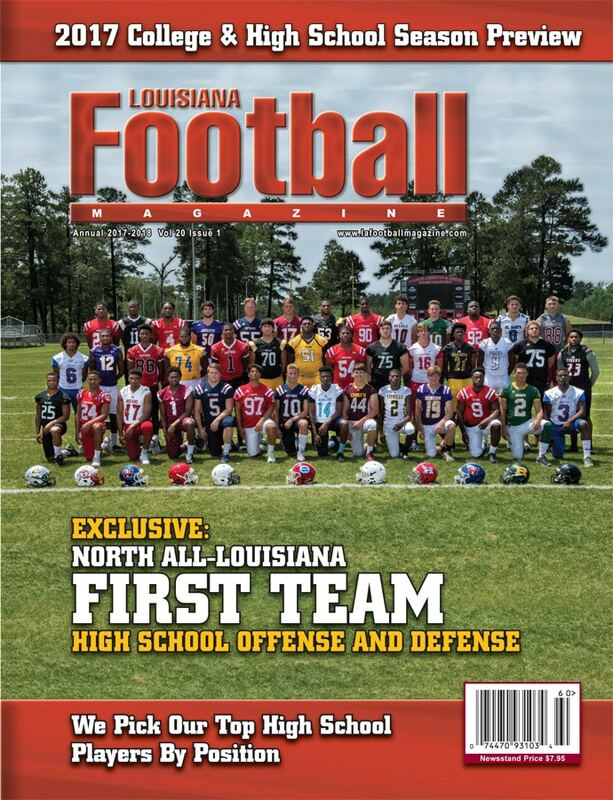 I do not know what Lutcher High School WR Gregory Clayton will do. However, he is Jarvis Landry’s (Lutcher/LSU/Miami Dolphins) nephew and looks not only like him in stature at 6-0, 180, but his game looks like his uncle at times. It is scary how good this kid can be and wherever he goes, I think someone will get a future NFL player. If Clayton wants to be there one day, he could because he is that good. The other player at this time that has an uncertain football future, but could have a NFL career is Cedric Williams from KIPP Renaissance High School. Like Clayton, if Williams wants to get there one day, he can as he is 6-3, 185 and can run a 4.4/40. 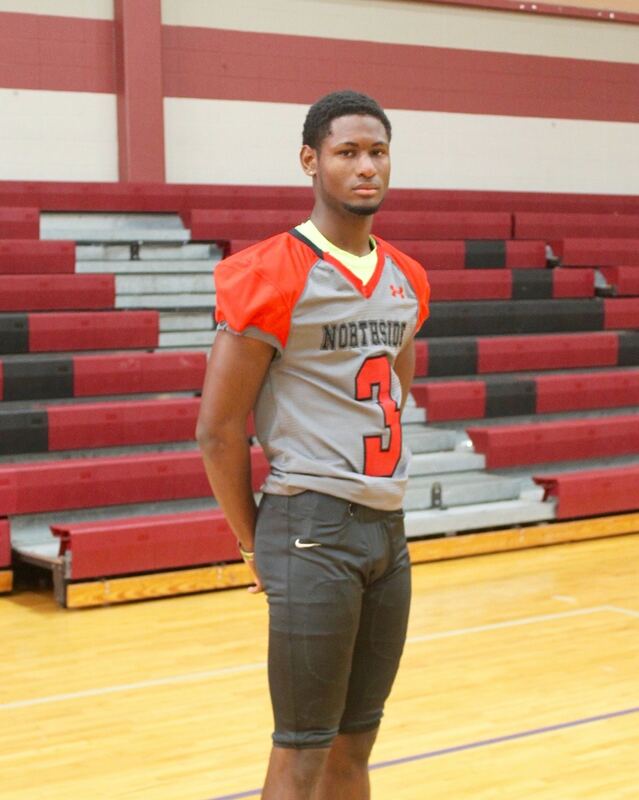 Northside High School WR Morris Dugas (6-3, 190) is a good looking wide receiver who can run a 4.5/40. Union Parish High School WR V’Arta Nelson (6-1, 190) is a sleeper wide receiver that can run a 4.6/40. L.W. Higgins High School WR Lonnie Johnson (6-3, 190) is a big time sleeper at wide receiver that has a great frame and 4.5/40 speed. Warren Easton High School WR Joseph Edwards (6-3, 180) is a late bloomer that was a former quarterback for the Eagles, but moved to wide receiver this season. Donaldsonville High School WR LaDarius Jackson (6-2, 185) has the speed and size to one day develop into a really good player. 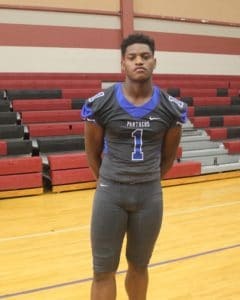 Right now, he has 4.5/40 speed and at times, he looks like he will be a difference maker in college. Most of the time last season, Jackson found himself in the end zone for the Tigers as a wide receiver catching 39 passes for 836 yards and taking 11 of those passes for touchdowns. 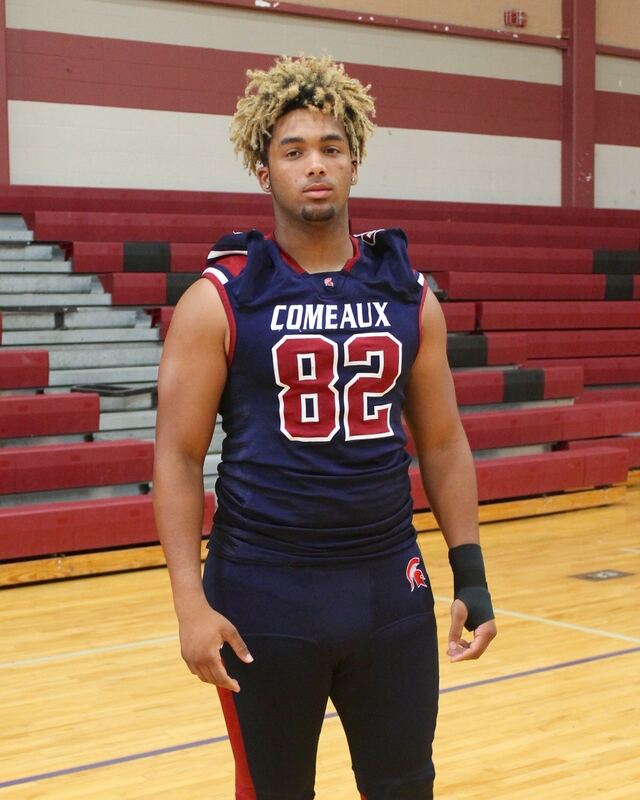 The most intriguing prospect here that did not sign on signing day was McKinley High School TE Joshua Quiett (6-4, 230), who was a one time Tulane commit. Quiett has big time ability and if he winds up at a junior college, a D-II school, or a I-AA school, he can be a great one as he runs a 4.6/40. Quiett also played defensive end for the Panthers too in the past. 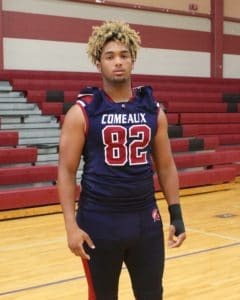 Comeaux High School TE Jalen Johnson (6-2, 225) runs a 4.7/40 and has great hands. 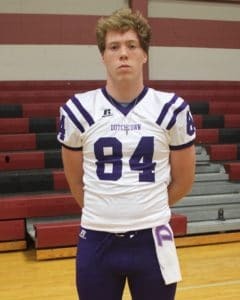 Johnson would make a great junior college tight end. The kid would do well in the junior college ranks. 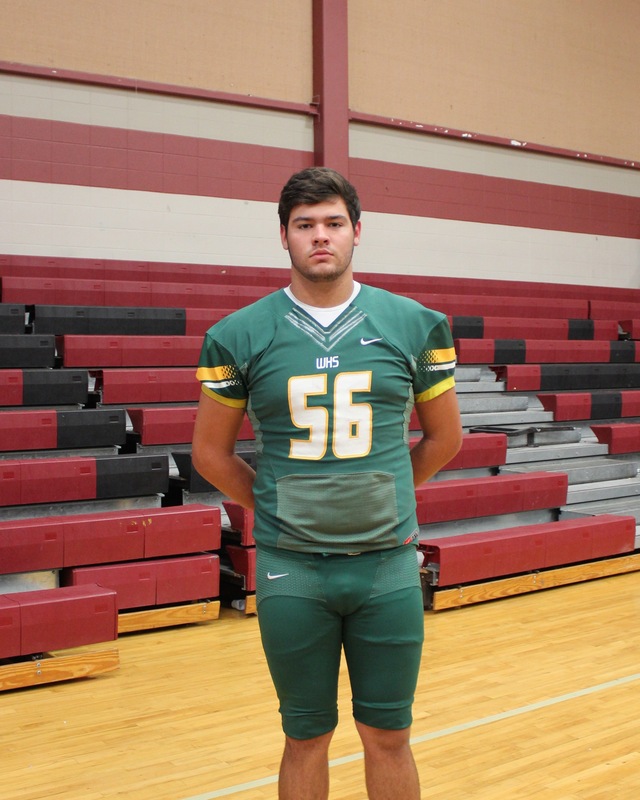 Captain Shreve High School TE Graham Smith (6-5, 240) only played one year of football, but would be perfect for the junior college ranks to learn the game more and show more to the DI colleges. Parkway High School TE Derrick Mitchell (6-5, 240) is a late bloomer, but still has not yet signed. 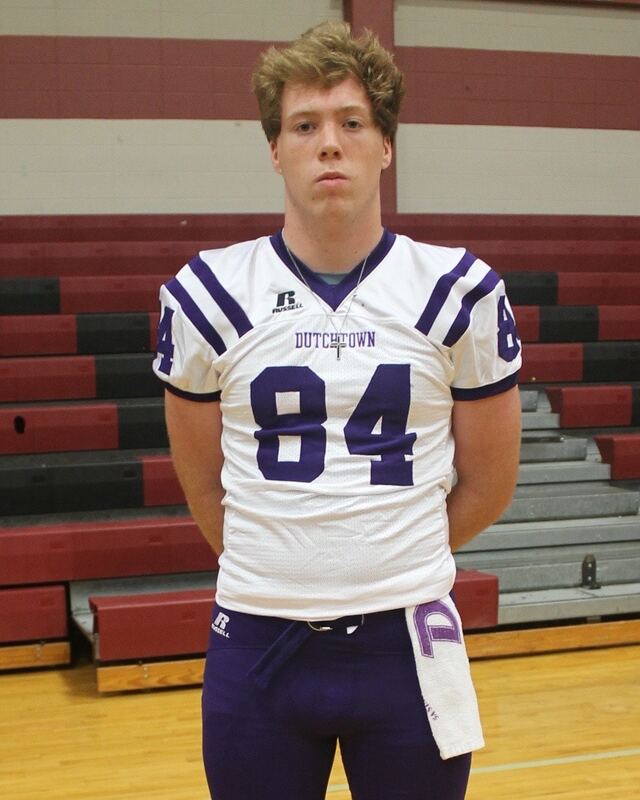 Dutchtown High School TE Brandon Davies (6-3, 220) has 4.7/40 speed, good hands, and has the grades, but if he went to play at the junior college level, he would become the complete tight end with another year to get stronger and bigger. 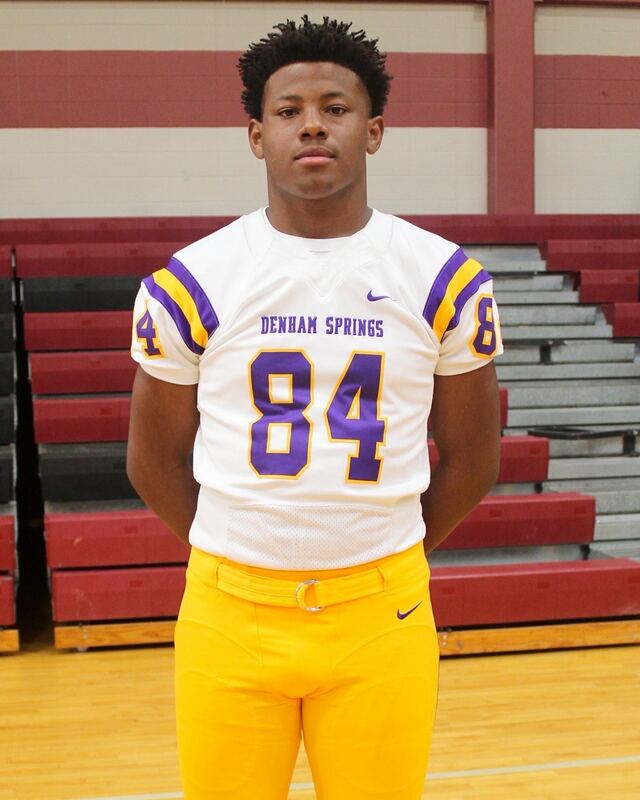 Thibodaux High School TE Demarcus Mitchell (6-3, 218) signed with Southwest Community College in Mississippi and will be a big time player for them. I watched Mitchell play on full game film a few games this season and he runs a legit 4.6/40. He is a big, strong kid with a high ceiling. Mitchell played quarterback for the Tigers as well as linebacker and defensive back. He did it all for the Tigers in 2017. I think two years in the junior college ranks will allow him to fully fill out too and become the total package as a tight end. Also, getting up to 230 pounds will not be hard for him. Lafayette High School TE Braylon Willis looks the part at 6-3, 225 pounds and runs a 4.65/40. Willis signed with Cisco Community College in Texas. He will really grow into the position in junior college because in high school, he was mostly a wide receiver and earlier on a defensive back. 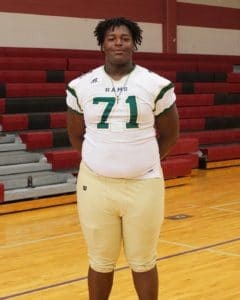 Acadiana High School OG D’Quanis Robertson (6-3, 320) was as good as any offensive guard I saw in the last three years of watching film and in person. Robinson is a SEC lineman as he is big, strong, and quick. Robertson will be at Hutchinson Community College in Kansas and if he stays the next two years, he has a chance to be special for the 2020 class. 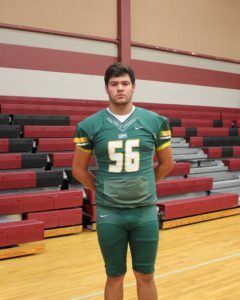 Alexandria High School’s Taylor Payne (6-4, 275) has signed with Tyler Community College in Texas. Payne has got some good feet and gives out high effort. 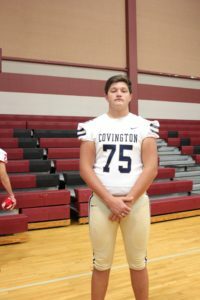 He has a chance to get stronger, bigger, and better with technique and two more years of junior college football as an offensive guard or an offensive tackle. Zachary High School’s Blake Anderson (6-3, 315) has good feet and is a natural strong guy with great upside. He is going to New Mexico Military Junior College. Junior College will be a great fit for him to polish his game, get stronger, and become the player he is capable of becoming. He could sign at the DI level in the end as either a center or offensive guard. 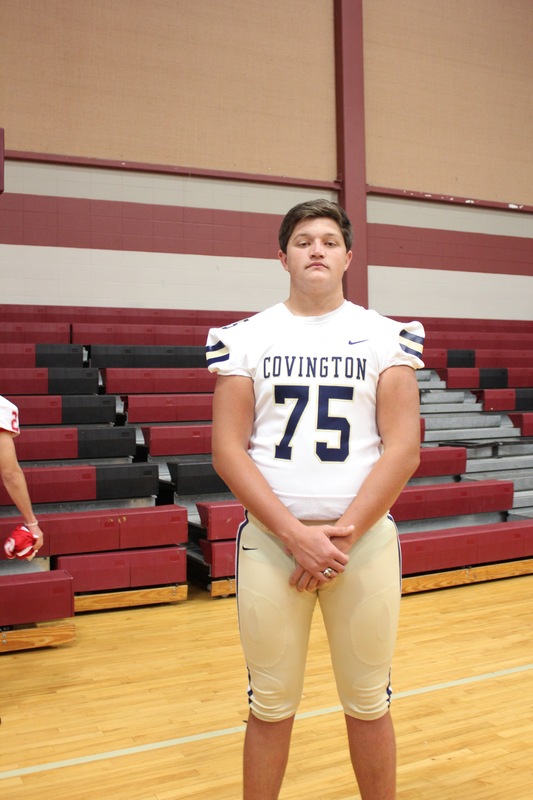 Covington High School’s Nick Cotton (6-6, 280) has so much upside. Cotton signed with Hutchinson Community College in Kansas. Cotton is a late bloomer that gives out high effort and has good feet. 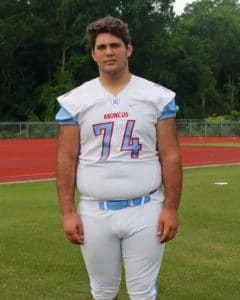 Once this kid becomes stronger and gets more time to play the game, he has a chance to be a big time DI player in two years as either an offensive tackle or an offensive guard for DI. 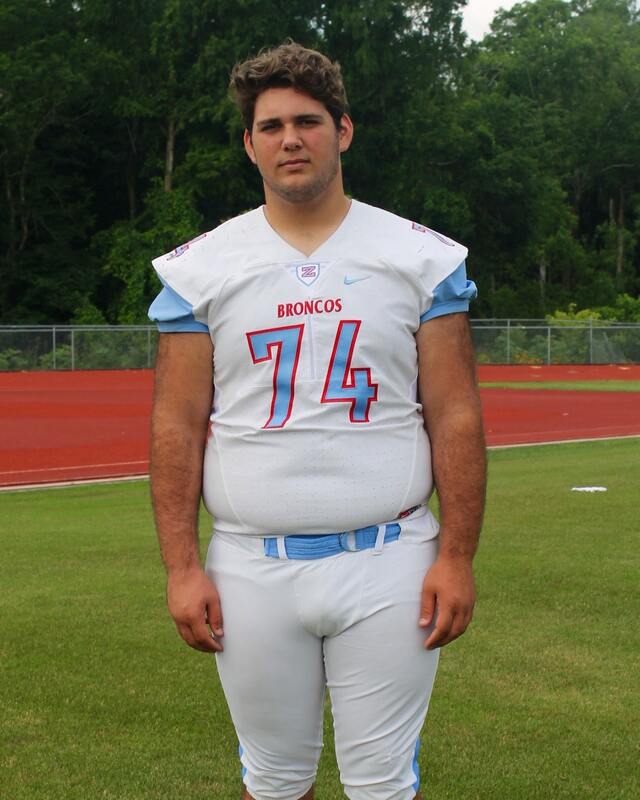 Walker High School’s Taylor Granger (6-4, 280) has the feet and skills to become a DI player in time. Granger has signed with Pearl River Community College in Mississippi as an offensive tackle or offensive guard. Destrehan High School OG/OC Samson Matthews (6-0, 285) has great feet, but he can also get out and block the run and pass. He can also pull and might eventually move to center at West Hills Community College in California because of his ability to pull. 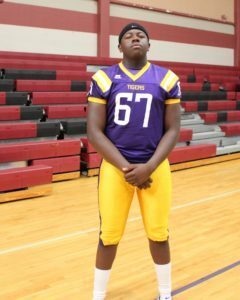 Denham Springs High School’s Brian Harvey (6-5, 285) has great feet and is a great athlete, but needs to become more aggressive. Scotlandville High School’s Raymond Pope (6-3, 310) is an All-District offensive lineman that has played on both sides of the football for the Hornets during the last couple of years. Walker High School’s Deonte Lathers (6-4, 330) sat out the 2017 season as a transfer, but is a player that does look the part. 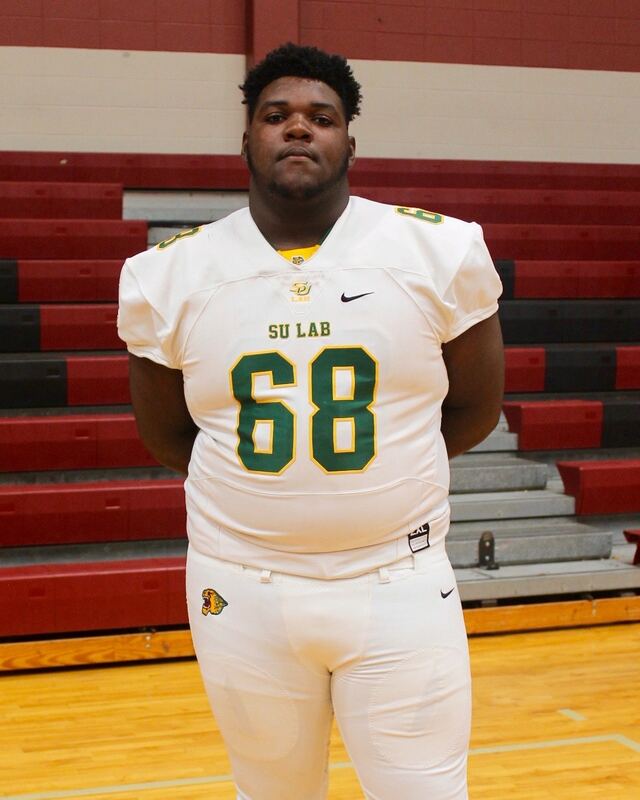 Southern Lab High School Center Cedric Banks (6-2, 320) is a two time 1st Team All-State offensive lineman that has quick feet and does a good job of finishing his blocks. Thibodaux High School OT Christopher Bolden (6-4, 255) is a late bloomer, but he looks the part, has great feet, and moves well. Bolden has signed to play at Mississippi Gulf Coast Community College.